The longer I live, the more I realize the impact of 'ATTITUDE' on life. 'ATTITUDE', to me, is more than the facts. It is more important than what other people think or say or do. It is more important than appearance, talent, or skill. It can make or break a company... a church... or a home. We have a choice to make every day, regarding the 'ATTITUDE' we will embrace for that day. We 'CANNOT' change the inevitable. WE are in charge or our 'ATTITUDES'. 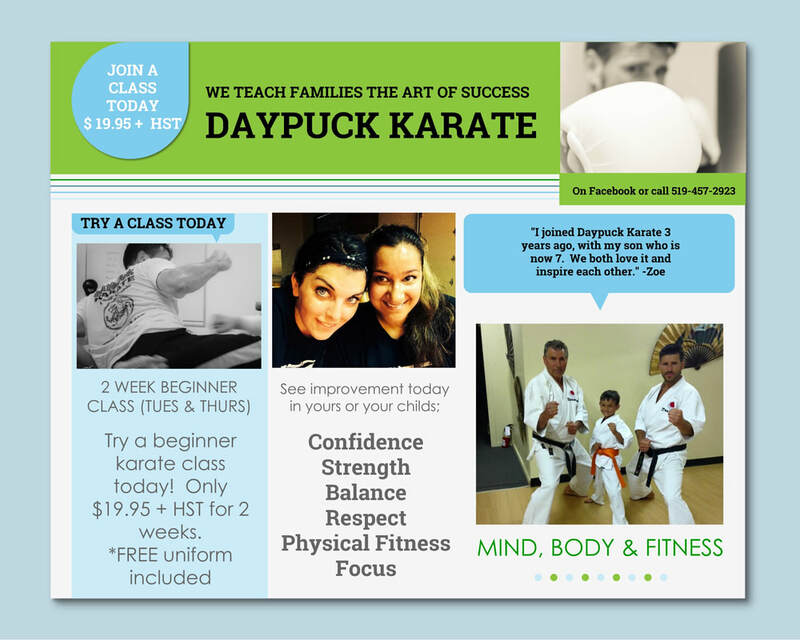 Experience the ultimate Martial Arts training in London at Daypuck Karate. Our Sensei's are dedicated and train to help you achieve your goals and success. We're located in the east end of London, Ontario.